Gosh this is seriously deliciously beautiful. However, I have a severe fear of bundt pans. Can you help me. How do you grease yours so that they come out in tact! I have tried a few times and either the cake comes out in pieces or not at all! I would love to try again but am tired of wasting money on ingredients. How long does it stay in pan before I attempt to remove? Any tips or help would be greatly appreciated. Hi Nancy, I really try to make sure that my pans are fairly new because that’s when they have the best non stick properties. Also I love using the non stick sprays that have flour in them. They are made specifically for baking. This sounds so good! 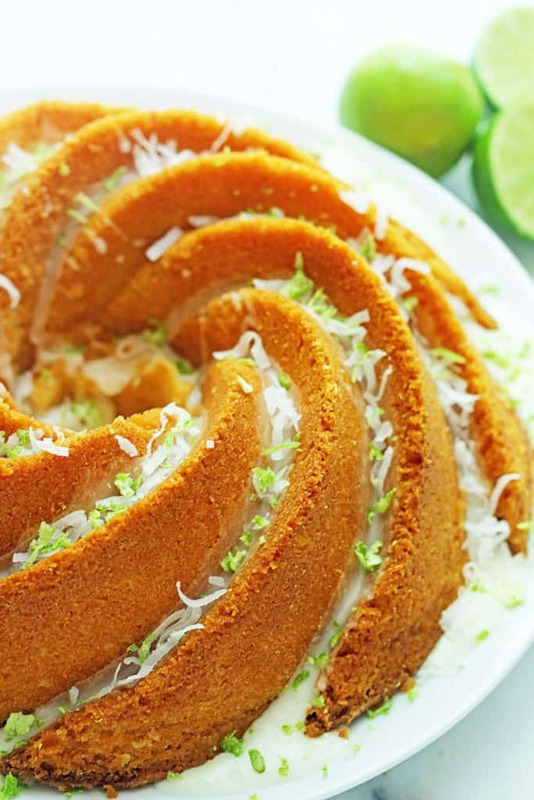 Key Lime is so delicious and in pound cake form so even better! What a delicious cake for a baby shower! I love the tropical flavors! I love the flavors too! I have never had pound cake before in my life… Or key lime pie! I need to figure out a way to MAKE THIS GiGi-Diet approved! That’s the most beautiful cake I’ve ever seen! Love, love, LOVE it and I LOVE me some coconut!!! 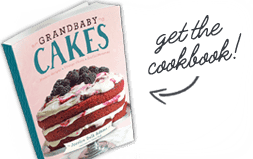 What a fabulous pound cake to make such an occasion! 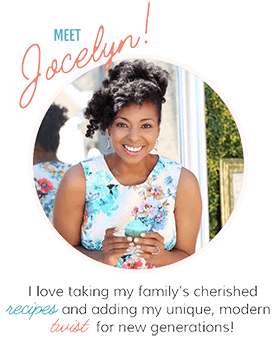 It is gorgeous, Jocelyn! 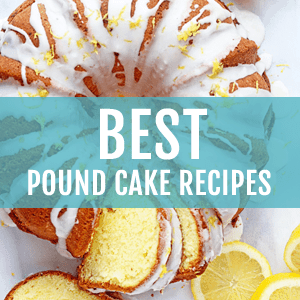 I love a good pound cake especially with these amazing flavors. What a gorgeous cake to celebrate our amazing friend! 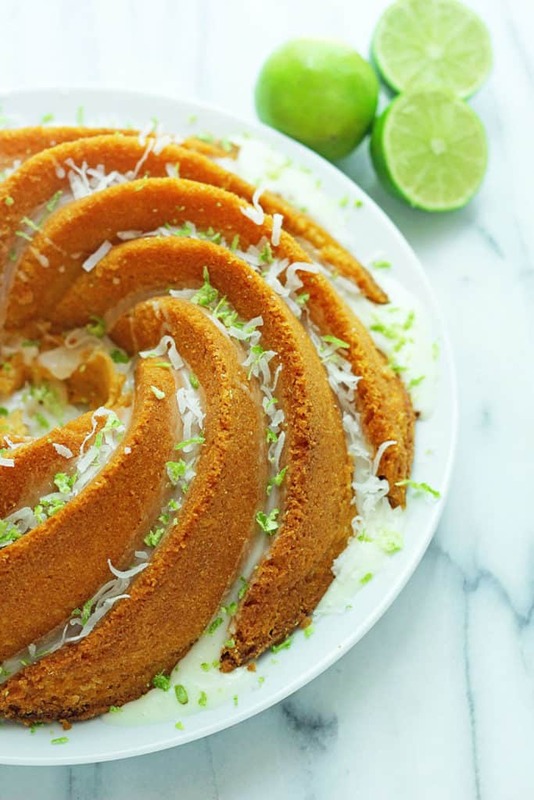 I love key lime and coconut together, and this cake is the perfect marriage of the two! Thanks for hosting such an awesome shower!! Such a pretty cake and lovely flavors! I adore that bundt pan too! Oh, Jocelyn, what a lovely cake and a beautiful tribute to Zainab this is!! I am so happy that you guys included me in the shower-Z is seriously the best. And I love you and her and love how much you love each other!!! This pound cake is 100% perfect for this shower and Zainab and it looks beautiful! I love the love we all have for each other in this blogger world. It makes me feel so warm and fuzzy! I seriously can’t stop staring at this beautiful cake!!! Absolutely gorgeous! Perfect for a beautiful Zainab! Love that girl, such a sweetie! Pinned this! Awww thank you so much my friend! 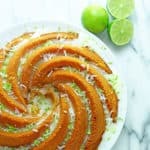 I’m all about this bundt pan life! 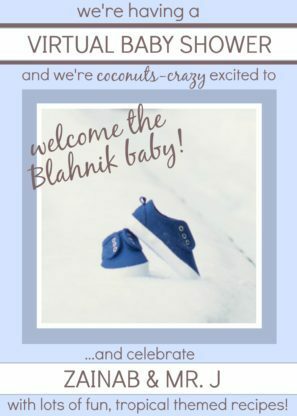 This is such a great way to celebrate a new addition to the family. And what a good lookin’ cake it is. I’ll take one giant slab…better make that two. I know! I want to celebrate all year round! Jocelyn, this cake looks FABULOUS! What a great dish to honor the woman of the hour! Thank you so much for organizing the shower with Alice and Allie!! Hooray I feel honored to be her friend. What is coconut flavor ? Hi Diane, it is coconut flavoring or extract which you can find in the spice/extract aisle of your grocery store. This cake is absolutely stunning, Jocelyn! I love the coconut and key lime combo and am drooling over that key lime glaze. So beautiful! This cake is perfect for Z! Thanks so much to you ladies for organizing the shower! Joc, I had to compose myself before coming back and thanking you. Boo, I heart you!! This pound cake screams happiness, love and just perfect for any summer day. Seriously. I also need to get that bundt pan for realz. It’s beautiful. THNAK you so much for hosting the shower…it was a wonderful day and I feel so loved. Love you boo!! It’s stunning! And you had me at key lime! I want to bite in to a slice of this cake! What a great way to celebrate, Zainab. I can’t wait to read all about her new baby! What a sweet idea this shower was! And that cake… It is absolutely gorgeous! What a magical cake! 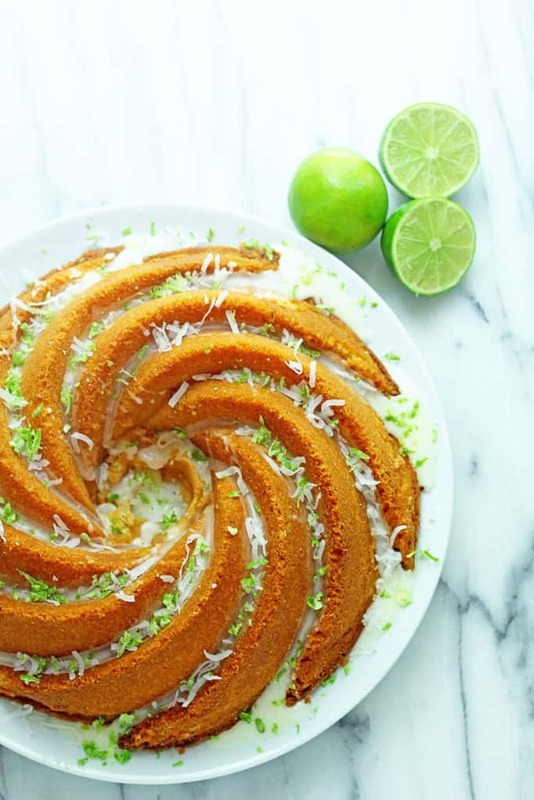 Look at those darling swirls (I need to get my hands on one of those pans) and I just love the idea of key lime in cake form! Beautiful! I’m seriously having a love affair with that pan right now! This takes the CAKE! Simply SUBLIME! Why thank you Tonya! You are sweet! That is so sweet of all of you! I’ve enjoyed a lot of Zainab’s offerings today. This one has that amazing lime zest on top. Wow! Yes Z deserves a wonderful day! It’s so beautiful! And I’m incredibly jealous of your pan, I’ve been wanting to buy that shape bundt pan for far too long but I don’t made pound/bundts often enough to warrant a third one! That pan is golden omg. I’m obsessed with it! What a seriously beautiful day my boo. I love you! Thank you for organizing this awesome shower and making an even more awesome cake! 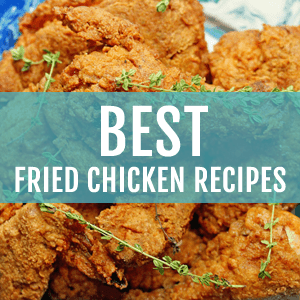 I am bookmarking this recipe STAT! Gorgeous cake! Love the key lime coconut combo! What a wonderful day! I just feel so warm inside from all the love shared. You are amazing! I am so glad we selected the same flavors hahaha. We did them justice girlfriend. Stopping by from the baby shower! This cake is beautiful! I can’t say I’m surprised to see so many people that love Zainab! This is so sweet of you guys. It is really fantastic. My heart is soo warmed! Love this cake! It looks so scrumptious, Jocelyn! And perfect for a baby shower. I LOVE this cake!!!!!!!!!!! and I need that bundt mold. . so pretty!!! 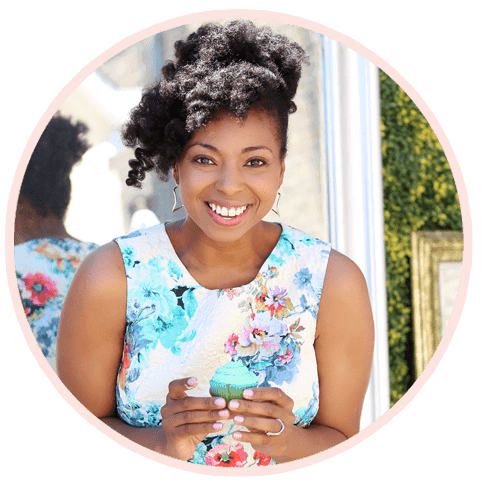 I’m so happy to call you guys my blogging family and friends! love you! Same here my dear. I love our family! This cake is so gorgeous! I love the glaze just dripping through the creases! Yes gosh that glaze has totally won my heart! Don’t you just love this bundt pan? It is my favorite ever! I’m in LOVE with that bundt pan, where did you pick it up? I’m having dreams of this cake while I’m eating my vegetables. Thanks so much Aine! I received it as a gift but it is from NordicWare.